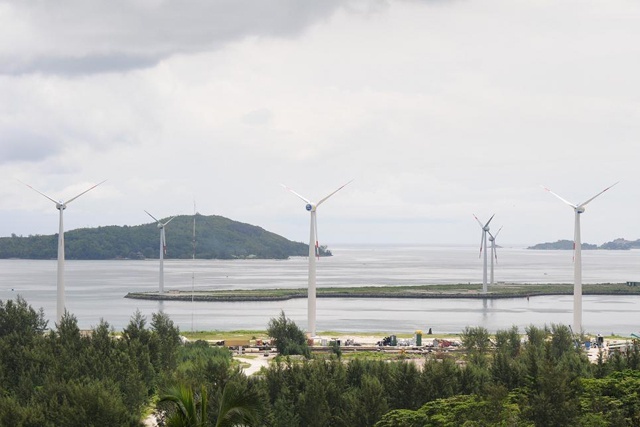 (Seychelles News Agency) - Seychelles, an Indian Ocean archipelago of 115 islands, is taking further steps to reduce its national level of greenhouse gas emissions. 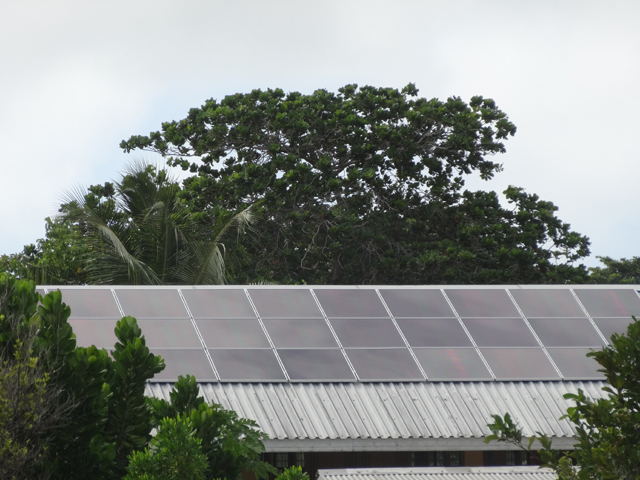 New measures to encourage the Seychellois population of around 90,000 people to use renewable energy in terms of electricity, as well as transportation, are starting to be implemented. This comes only five months ahead of the COP 21, the 21st session of the Conference of the Parties to the United Nations Framework Convention on Climate Change (UNFCCC), which will be held in Paris in December 2015. Since July 15, duties on all electric vehicles which were previously set at 5 percent have been abolished, while duties on hybrid vehicles have been reduced from 15 to 5 percent. These new measures, announced by the Seychelles President James Michel in his National Day address on June 29, are aimed at increasing the number of electric cars in the country which are currently a rare sight on the roads of Seychelles. A few Seychellois-owned companies have in recent years ventured into the importation of electric and hybrid vehicles. ‘Ecars’ is one example, which introduced fully roadworthy electric cars in the island nation in April last year. 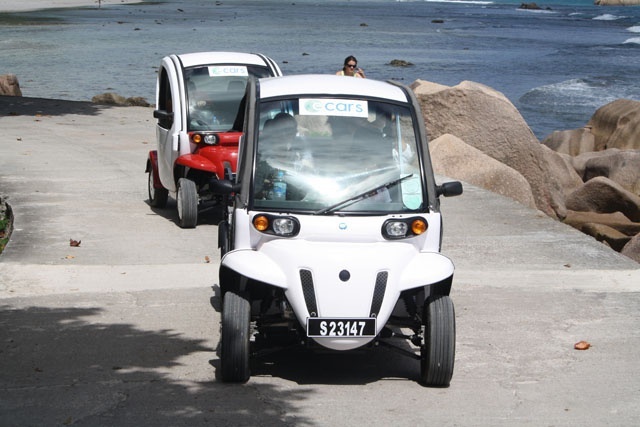 La Digue, the third most populated island of the Seychelles archipelago, where people travel mostly on bicycles and few fuel-dependent vehicles are allowed, was the first to get the feel of the electric models brought in by Ecars. Giving details about the new initiative to reduce duty on electric and hybrid vehicles, the Seychelles Minister for Finance, Trade and the Blue Economy, Jean Paul Adam told SNA that fuel consumption currently accounts for the country's biggest expense. "Fuel is mostly used for cars and is less used to generate electricity, but it is equally important. Having cars that use less fuel and emitting less greenhouse gases, is better for the environment," said Adam in an interview with SNA. With the reduced taxes, it is expected that the price of electric cars, which are relatively expensive due to their high-tech design, will come down to almost the same range as fuel-powered vehicles. According to the Seychelles' National Bureau of Statistics Office, fuel consumption accounted for 30 percent of the island nation's total imports in 2014. In a bid to lead by example, the government of Seychelles is said to be currently analysing the possibility of gradually replacing its fleet of vehicles with electric models. Currently, most state-owned vehicles are travelling an average of just 20 kilometres per day and this is well within the operating range of an electric vehicle. "You have to think that the cost of an electric car is more expensive than a conventional car, even with lower taxes, this still remains a relatively expensive car... there will be no immediate impact... our predictions do not expect that 400 cars will arrive in the country all of a sudden... rather the change is expected to happen gradually," added Adam. Seychelles has been lagging behind when it comes to the use of renewable energy in the Indian Ocean region, in spite of having ventured into a number of projects in recent years. The island nation has a wind farm of eight turbines, donated by UAE-based energy company Masdar, which each generate about 750kW. In total, this is equivalent to around 2.2 percent of Seychelles’ current electricity requirements, providing power to around 2,000 homes. Minister Adam explained that being a small country, with a population of around 90 000, this technology would have been a relatively expensive investment for Seychelles. Other projects that have been implemented include street lighting powered by solar panels in many parts of the island, especially on mainland Mahé. In a bid to encourage the general population to invest in solar energy, President Michel, in his National Day address also announced that financial and technical support will be provided to families to install solar panels on their homes as of 2016, which will include providing subsidies to families based on certain criteria. According to Adam, the government is expected to implement the project in two phases, the first one will be to install solar panels and the second phase will involve building a solar power plant, a project which will be funded by the Indian Government. "The installation of these solar panels are relatively expensive, I think it amounts to almost 7,000 Euros ... A significant investment ... There are some people that can recover their investment in 7 years, but this is definitely not an investment that all Seychellois families can afford. Hence the government has decided to have a program that installs solar panels on some of the low-income houses, so that low-income families can also benefit from the use of renewable energy and a lower electricity cost," said Adam. The announcement made by Michel in June also specified that it will also be compulsory for every new house and building to have its own solar panels installed. The company that produces electricity in Seychelles, the Public Utilities Corporation, PUC relies heavily on fuel to power its generators in order to satisfy the electricity needs of the Seychelles archipelago of around 90, 000 people. The Seychelles Energy Commission and the Public Utilities Corporation (PUC) reviews electricity tariff on a quarterly basis taking into consideration whether there has been an increase or decrease in fuel prices which would impact on PUC’s operational and maintenance costs. As the production of electricity in Seychelles remains high due to high fuel costs and in order to reduce its production costs several companies had already started to invest in renewable energy, by installing their own PV systems. The new undertakings to allow more families to afford venturing into producing their own electricity using solar power, will therefore add to the recently introduced financial rebate scheme which allows small businesses and private dwellings to invest in photovoltaic systems at a financial rebate of 35 percent on installation as such is quite an expensive investment. "We are encouraging all businesses to generate their own electricity... we are in the process of completing a World Bank study... the private sector has many questions concerning the resale price of electricity and how to maximize their investment... in 2016 there will be an acceleration in private sector investment," said Adam. Other islands in the Seychelles archipelago that are less populated and more involved in environmental projects including the Aldabra atoll, Aride island and Cousin island are also joining in the renewable energy efforts by becoming fully powered by the sun. Speaking on Cousin island earlier this month when launching the island's solar system the Seychelles Minister for Environment, Energy and Climate Change, Didier Dogley said the target is for the Indian Ocean archipelago to produce 15 percent of electricity generated from renewable energy sources by 2030.